In today’s hot real estate market, there is a lot of pressure to make quick decisions. If you’re worried about missing out in a bidding war or are motivated to move, it can be tempting to go in subject-free so that your offer stands out. But what if your dream home turns out to be a nightmare? Without conditions, you might be stuck with very few options to end the contract. 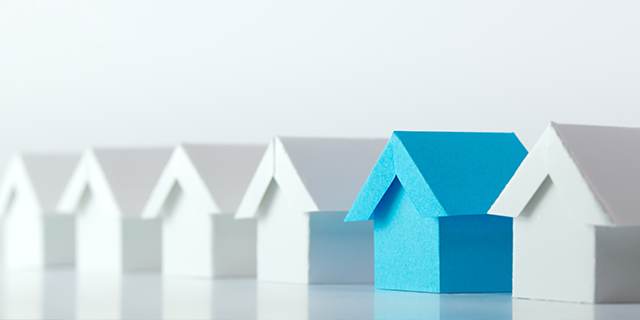 There’s been a fair bit of news recently about how the mortgage process is changing. New regulations mean that it might be more difficult for you to qualify for a mortgage if you’re self-employed or have rental income to consider. Depending on the amount of your down payment and the amortization you’re looking for, you might not fit with every lender. We can usually find a solution for any situation a client brings to us, but it may take more time than you’re expecting and it may not look like that ultra-low rate deal you saw online. While you may be cleared with a lender, the property you choose may give them pause. For example, we had recently started the mortgage process with Chris* and Sheila*. The planner they were working with had already received a pre-approval from a lender when we found out that the property they were buying had an above-ground oil tank. Luckily, that particular lender will consider an oil tank as long as it’s been inspected and certified in good working order; not all lenders would make that consideration. Chris and Sheila’s realtor was able to provide us with an up-to-date certification and the deal was completed on schedule. You will probably also want to make sure that the parts of the house you can’t see are in good condition before you move in. A serious defect such as mold or foundation damage could prevent you from actually living in your new home. Additionally, if the problems are severe enough they could impact your home insurance – a requirement in order for you to obtain a mortgage. Setting a condition of a home inspection gives you peace of mind that your dream home isn’t hiding any secrets from you. If you’re considering purchasing a condo or other strata property, it can add another layer of complexity to the real estate process. While an inspection of the unit you intend to purchase may not turn up any red flags, a review of the strata documents (minutes of the AGM or a Form B) could indicate whether there are any ongoing or pending issues with the building as a whole that you should be aware of. Roger* made an inquiry with us about obtaining a mortgage for a unit in a relatively new strata development. When our team reviewed the strata documents, we saw that there was a pending civil lawsuit against the builder. Most lenders would be cautious in a case like this, and it could take longer to obtain a mortgage. Even if you’re absolutely certain that your financing is in place to buy your next home, we would always recommend including at least one subject clause in your offer to purchase in order to protect your investment. A home inspection or review of strata documents may turn up issues that aren’t readily apparent from the listing or a viewing of the property. In the absence of a “cooling off” period in the resale market, it’s important that you have the time to understand all the details of your purchase and make sure the home you buy truly is the home of your dreams. Learn more by contacting an MA mortgage professional today! *The names of our clients have been changed here to protect their confidentiality. *This article presents the informed opinion of the author. Any major financial decision, such as whether to purchase a home, should always be made after seeking professional guidance you trust for your unique situation.